Multi-Split systems are ideal for situations where there is limited space for outdoor units or insufficient ceiling space for ducting. A Daikin Multi-Split system allows individual control of the air conditioning in each room. This not only optimises comfort but saves on running costs as wastage is eliminated by only air conditioning rooms as and when required. On top of the savings generated from the flexibility of Daikin's Multi-Split system, further cost reductions are achieved from the energy efficient benefits of Daikin's Inverter Technology. Daikin Multi-Split systems are available in reverse cycle and cool only models. Daikin has two types of systems available. 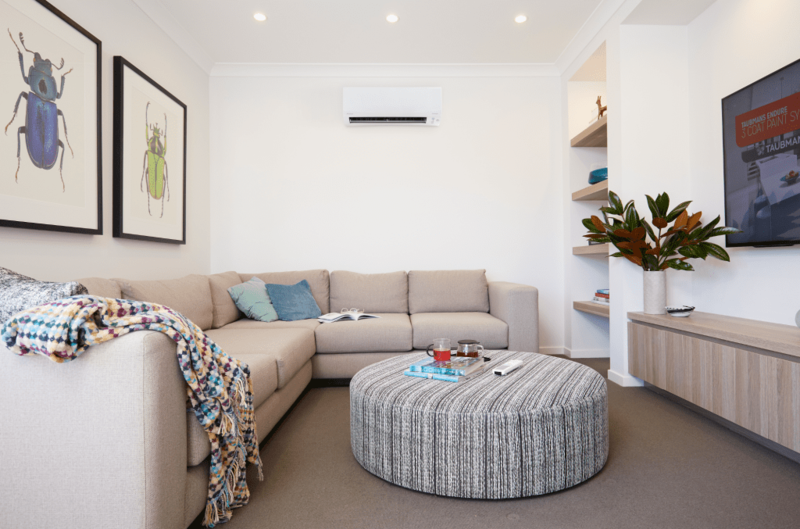 The SUPER MULTI range can air condition up to 4 rooms, the SUPER MULTI PLUS range can air condition up to 9 rooms. Intelligent eye, an infrared sensor with the ability to sense human movement in a room. When you are in the room, the air conditioner operates normally. If you leave the room for more than 20 minutes the air conditioner automatically changes to energy saving operation. The Super Multi is a high-capacity outdoor unit is powerful enough to drive up to 4 indoor units, which solves the problem of limited installation space for the outdoor unit. 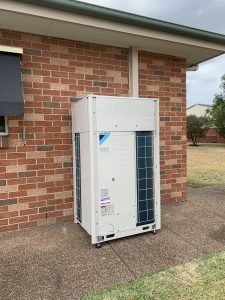 An outdoor unit can be connected to any class indoor unit from 2.5 kW to 6.0 kW. The total capacity of the indoor units that can be connected is between 11kW to 15.5kW depending on the model of the outdoor unit. There is a range of different indoor and outdoor units available. The Super Multi Plus is a powerful 14.5kW system can air condition up to seven rooms from one outdoor unit, all with individual control. The total capacity of the indoor units that can be connected is between 7.5 kW and 18.9 kW. Indoor units range from 2.5kW to 7.7kW and are available in six types. A 115m piping length with no additional gas charge requirements simplifies and provides greater flexibility in installation. Installation is also simplified through the use of a single-phase power supply with a 30A breaker. There are a range of different indoor and outdoor units available.